A McKinsey Global Institute report, Independent work: Choice, necessity, and the gig economy, finds that up to 162 million people in Europe and the United States—or 20 to 30 percent of the working-age population—engage in some form of independent work. An independent worker is an unsupervised worker. If the worker is doing something important for your company, you need to be very certain they are qualified and trustworthy to do that job. You also may not have the usual procedural and legal framework in place to monitor and evaluate work the way you do with regular employees. When you hire an independent contractor, you should evaluate them as carefully, or even more carefully, than you would a typical, more closely-supervised employee. Generally, employers of independent contractors are protected from vicarious liability for the negligence of the contractor, but that’s not guaranteed. In other words, even though you feel confident that you have established a clear, independent contractor relationship with an external service provider, there’s no guarantee the courts will view it the same. Consider the case of Earl Doucet, who hired Gammon Enterprises, LLC to perform roofing repairs on a building. Gammon accidentally caused a fire while performing the work, and even though Gammon was an independent contractor, the courts established that he did not meet all the requirements of independent contractor status and therefore, Doucet would be liable for the claims and damages caused by the fire. What your unsupervised workers do reflects on you. Perform the due diligence required to make sure they are qualified for the job. The fact that an independent worker is not a regular employee means little to any third party who experiences him or her as a representative of your company. If you sell the services or work of the independent contractor under the name of your company, you are creating a connection that will be perceived as real. If the unsupervised work is substandard or worse, if the contractor causes damage or harm to a customer, fellow employee, or the public at large, your company’s reputation can suffer greatly. Judging by the growth in the ‘gig’ economy, it’s clear to employers that the benefits of hiring independent contractors can be quite significant. Improved productivity and flexibility, along with lower fixed costs, are key reasons for selecting independent workers. However, the risks must also be addressed. When you consider an organization’s responsibility to provide a safe workforce, due diligence cannot stop with employees. 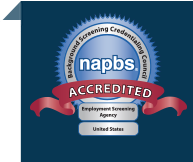 Employment screening is just one hiring strategy that crosses the boundary between employee and independent contractor.